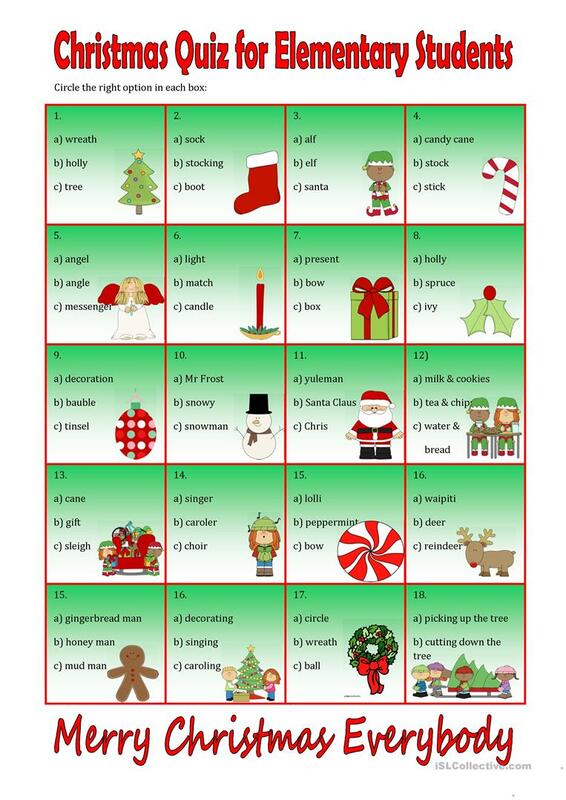 An easy quiz for elementary students. Circle the right answer for each box. This downloadable worksheet is a great resource for high school students, elementary school students and adults at Elementary (A1), Pre-intermediate (A2) and Intermediate (B1) level. It is useful for strengthening your groups' Reading skills. It is focused on the topic and words of Christmas.